ANOTHER #WojBomb! Right after news surfaced that ​Jimmy Butler wanted out of Minnesota. a result of the ongoing beef between him and his two most high-profile teammates, ​one of them has just signed a max contract extension. 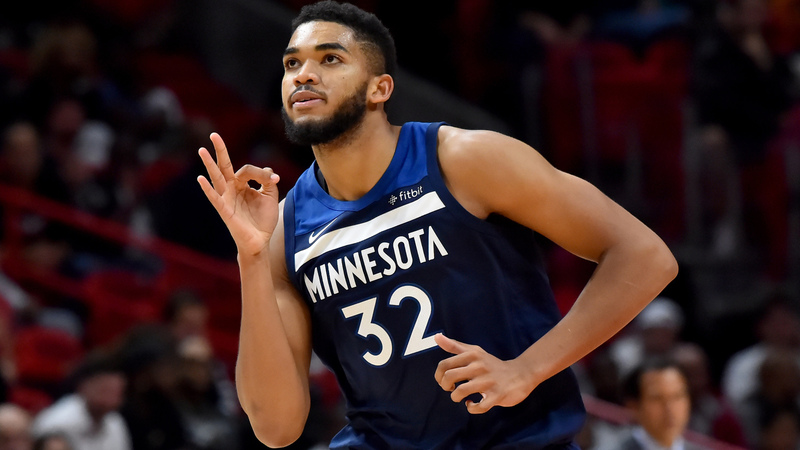 As per ESPN’s Adrian Wojnarowski, the big man Karl-Anthony Towns has gone BIG, agreeing to a five-year max contract extension worth a whopping $190 Million. With Butler demanding a trade and preferring a move to a major market, Towns pounced on the opportunity, not only securing the bag, but putting his mug out there to be the face of the Timberwolves franchise — and he’s only 22. And rightfully so, KAT was robbed of an all-NBA second team selection last season after averaging 21.6 points and 11.7 rebounds per game on 54.5 percent shooting, including 42 percent from three and 86 percent from the free-throw line. If those stats earn you third-team, jeezus. With those numbers and heaps of room for improvement, it’s accurate to say that the former No. 1 overall draft pick is just getting started.